“What’s that? That’s a handkerchief. I started this blog when I was a nightclub bartender in Hollywood with a “useless” lonely nerdy passion for the world of entomology/ararchnology nearly 9 years ago. The act of creating this blog opened my eyes to a community of fellow naturalists that shared my passion. I was no longer lonely and my passion no longer seemed useless. Our community grew and grew. Because of this realization – I went back to school, despite my original doubt that “bugs” were a legitimate career and that I had what it takes to be a scientist. I finished my BS in ecology/evolution, and I am now close to finishing my MS. Since starting this blog, which originally was only intended as a bug journal of the insects i stumbled upon throughout daily life…an outlet for my interest in bugs… I have been to the Ecuadorean Amazon 3 times to study the organisms I was only dreaming to blog about. Today, I got word– I have been awarded a 4 year fellowship to continue my research and earn a PhD in Zoology in Leticia Aviles’s lab at the University of British Columbia. I am not exaggerating when I say that I credit the experience I have had making this blog and interacting with so many of you as the foundation of my journey as a scientist. We shared a love of the natural world and I am reminded every day why it is that I love being a biologist through this process. Many of you have helped fund my research through my campaign on experiement.com, and some of you even sent me live spiders. Whether directly or indirectly– this has contributed to my science… and has enriched my life..
Oh. 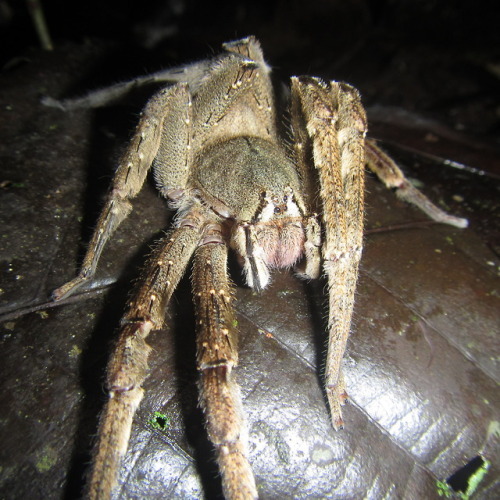 A beautiful Phoneutria wandering spider for attention in Jatun Sacha, Ecuador. What’s the difference between my kid and a small box and a cat and a small box. Legit asking. propitlikeithot: @lies soon… Good luck, Sam! Do this for every informative/news-related post you want to reblog. The fewer reblogs a false report gets, the less it spreads. The best thing you can do for a false report is not reblog it at all, OR start your own post to debunk it, with a link to the original. If you reblog to debunk it, your reply will get lost in the huge amount of notes, and you will just end up spreading the misinformation further. 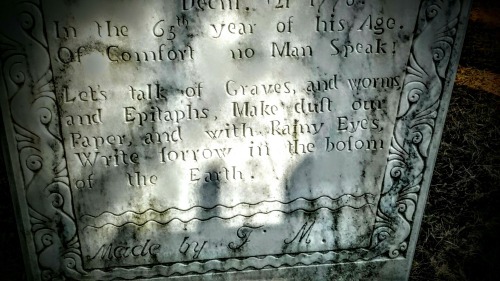 Sometimes a totally unlikely story turns out to be true! It’s even more fun to reblog it when you’ve confirmed that it’s real. We all slip up sometimes but hey do what you can folks. Only you can prevent Tumblr fires.